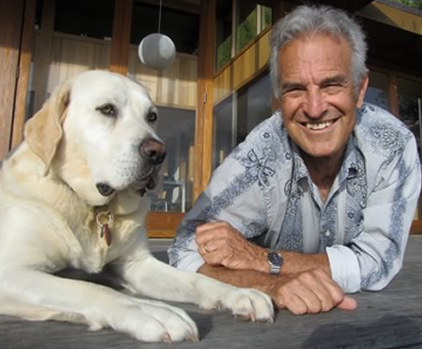 Jeffrey Masson has written nine books on animals, including the bestsellers When Elephants Weep (1996) and Dogs Never Lie about Love (1998). His books The Pig Who Sang to the Moon (2004) and The Face on Your Plate (2010) are quoted in Meatonomics for their evocative descriptions of the emotional lives of pigs, chickens and other animals. Masson’s latest book is Beasts: What Animals Can Teach Us about the Origins of Good and Evil (Bloomsbury, 2014). In Beasts, Masson pursues the theme that humans are the only animals who engage in cruelty and systematic killing of their own kind, and he explores the disturbing ramifications and possible causes of these unique traits. I interviewed Masson about the book and his views on evil, altruism, why he went vegan, and what’s next on his writing plate. Dave Simon: In addition to being a prolific writer with a number of bestsellers under your belt, you are also a scholar of such diverse fields as Sanskrit and psychiatry. How did your background in these areas inform your writing of Beasts? Jeff Masson: Sanskrit was no help! Actually, neither was psychiatry, except that while I reject much of Freudian psychoanalysis (even though I was trained as one), some ideas of Freud, especially around denial, seem to me apposite when it comes to our extraordinary ability to ignore other people’s suffering. But for that insight, one does not need psychiatry. DS: One of the main themes of Beasts is that humans are the only animals who engage in cruelty – and the only ones who routinely kill one another. The book offers a couple of possible explanations for these unique traits: first, the development of agriculture gave humans a reason for violence because it gave us material goods to protect, and second, human intelligence uniquely shows us that killing an enemy better serves our gene-propagation goals than merely subjugating him. Ultimately, however, it seems you don’t find either of these explanations completely convincing or conclusive. Do you have a personal theory for why humans are uniquely predisposed to cruelty and intraspecies killing? JM: It is one of the great unanswered questions. For me, it is not just agriculture that is to blame, but the domestication of animals. I think that was a terrible moment in history, for it allowed us to give rein to a kind of cruelty toward other animals that is absent from all other animals. We are simply the most violent animal on the planet. But you could ask why, given the opportunity, do we engage in this level of awful behavior? I am afraid nobody knows the answer. I do not believe it is part of human nature. I think it is, like war, something we learn. DS: Because evolution favors the fittest, it’s tempting to think of the universe as a harsh, violent place where weakness is punished and kindness and compassion have a role only when they serve to advance gene propagation – such as a mother nurturing an infant. Beasts discusses several possible explanations for altruistic behavior. Are human compassion and altruism inherently self-interested in the sense that their goal is merely to advance the giver’s interests? Moreover, if these traits could stem from purely selfless objectives, wouldn’t that actually contradict our genetic wiring? JM: Altruism, too, is something we learn. It is, alas, extremely easy to raise a child to be brutal and sadistic. It is much harder to raise them to be selfless and compassionate. But it can be done. DS: You point out, somewhat startlingly, that humans have suffered from post-traumatic stress disorder (PTSD) since the origin of agriculture and domestication of animals. Spiritualist Eckhart Tolle has said, pointing to a different kind of collective, mental illness, that human societies “engage in behavior that would be immediately recognizable as psychopathic in an individual.” Is one possible explanation for our violent behavior that we suffer from collective mental illness? If so, how can we treat it? JM: Is our species psychopathic? Interesting question. Consider the fact that no other animal in the wild develops what we humans call “mental illness.” This suggests something artificial has happened to our species. But what is it, when did it happen, and how can we rid ourselves of it, are questions of enormous importance, but very difficult to answer. DS: You quote Holocaust survivor Primo Levi, who said people initially denied the Holocaust was underway because the information suggested “a massacre of such vast proportions, of such extreme cruelty and such intricate motivation that the public was inclined to reject” the reports. Is it possible that similarly, the sheer enormity of the scale of factory farming’s violence against animals is what prevents most people from acknowledging or confronting it? JM: Yes, I would love to have met Primo Levi and have asked him this very question. I saw a book yesterday about having pigs in your backyard. At first I thought, “how nice,” people want to live with pigs as with dogs, as friends. Then I saw a chapter entitled “Saying goodbye,” naturally about slaughter. I was horrified. What is wrong with us? How can we raise pigs (or any other animal) as friends and then decide we want to eat them instead of befriend them? Imagine if we raised children in this way, to be killed and eaten. It completely baffles me that EVERYONE does not see this! Why not? I just don’t know but it makes me very sad. DS: I remember the moment I decided to go vegan – it was while watching An Unnecessary Fuss, an undercover video about head-injury testing on baboons. If you could point to a primary catalyst that led you to veganism, what would it be? JM: For me it was visiting farms, chicken farms, dairy farms, pig farms, and duck farms. When I saw the obvious suffering of these animals, I just could not believe I had not seen it before (see above about denial!) and could not participate in such suffering by drinking milk, or eating eggs, let alone flesh of another being. DS: Since your 1984 book on psychiatry, The Assault on Truth, you’ve written nine books on animals. In explaining your shift in focus, you told another interviewer, “It was very hard to make a living, and I thought, ‘As long as I’m not making a living, I may as well write about something I really love: animals.’ ” Where does your love for animals come from? And, as a number of your animal books have done well commercially, is it fair to say that making a living as a writer is working out better for you now than it once was? DS: What’s your next book or other project? JM: I am now writing a novel about the Holocaust, called Evian, 1938. For more information about Jeffrey Masson and his work, visit www.jeffreymasson.com. Yes it Is so baffling. That is interesting though – the comparison of the human reaction to the holocaust and the animal holocaust every so gradually having the veil lifted. – that seems to be the key that is perpetuating the denial and in time to come, no doubt. the masses will say – we had no idea – we didn’t know that this was happening in this great scale and cruelty to the animals.. Though not necessary a fan of Masson’s, I am impressed by this answer ” Is our species psychopathic? Interesting question. Consider the fact that no other animal in the wild develops what we humans call “mental illness.” This suggests something artificial has happened to our species. But what is it, when did it happen, and how can we rid ourselves of it, are questions of enormous importance, but very difficult to answer.” At least one scholar besides Gary Francione has also taken up this question.Zipporah Weisberg at U Toronto who is known for her interesting critiques of post humanism. I would have been interested to read what Masson had to say in a more expanded version as this seems to be what is at the root of all human animal relations. Jeff Masson is a modern day Buddha and Mahavira; his universal compassion is admirable.